The men’s class of 2014 is one of the truly great recruiting classes of all time. There was a bit of a re-calibration that had to happen, just because of how good it is. There’s more than half-a-dozen guys under 20 seconds in the 50 free; a mittful who go 46’s (and even 45’s) in the 100 fly; who would’ve thought that when separating between tiers of recruits, I would have to make a decision on whether or not a 55-second breaststroker, out of high school, is considered “top tier”? That meant leaving a class like Florida, with the greatest high school sprinter ever Caeleb Dressel, at 11th; or a class like NC State’s, which is good at the top and deep, at #9. Normally, there’s a lot of anxiety on our end that goes into making this picks, but this year, there was a new energy just because of how good it is. The other re-calibration, as compared to the women’s rankings that we started on Monday, is that men’s rankings rely more heavily on “long-term” and “conference contributions” from freshmen. With the exceptions of swimmers like Dressel, Conger, and Murphy, it’s rare to have freshmen come in with NCAA scoring-worthy times immediately. Joe Schooling will have one in the 100 fly, but will have some work to do to score anywhere else. That means that we’ve had to tweak our ranking methodology. If it were ranked solely on NCAA scoring potential as a freshman, then the rankings would be based too heavily on individual swimmers like Dressel and Schooling. While those immediate boosts certainly can help get a team to an NCAA title (like Murphy at Cal did last year), ultimately it takes 15 or 16 or sometimes even more contributors to win an NCAA title on the men’s side. Other ranking ideas that might not be intuitive: American-based swimmers carry SLIGHTLY more weight than internationals. That’s not because of any hatred toward international swimmers, but simply because of the transition to yards swimming. A 22.5 50 meter freestyler from Macedonia will still get a team ranked higher than a 21.0 50 yard freestyler from California. We’ve also made these picks based on recruits that have either been formally announced or whom we have been told about. We can only rank based on classes and swimmers that we’ve been told about, so if there are any unannounced 21.50 50 meter freestylers from Macedonia floating around, please let us know. Harvard graduates the defending Ivy League Champion in the 100 and 200 freestyles Chris Satterthwaite, but replaces him with one equally as good in Edward Kim. Kim has been 20.11/43.90/1:36.75 in the 50/100/200 freestyles, in addition to 47.9 in the 100 fly and a 1:45 in the 200 back. His signing, and that of Steven Tan (20.42/44.77 in the freestyles), should help Harvard get their relays back to NCAA’s once again despite significant graduations. The ability to continue that trend beyond the departure of one or two standout sprinters speaks a lot to how Harvard has really built a depth in the program over the last few years. Shane McNamara (45.72 in the 100 free) might one day play a role there as well, but as a freshman his primary function will be as a breaststroker. In yards, he’s been 53.7 and 1:56.9, making him the best breaststroker they’ve ever recruited out of high school. Yes, that includes better than Chuck Katis, who transferred to Cal last season and was a part of their NCAA Championship team. McNamara is faster than any returning swimmer in the Ivy League in the 100, though he’ll still have to battle with sophomore teammate Eric Ronda for a spot on the medleys. On the 200 medley, at least, it should be McNamara’s position to lose. Harvard really hit the sprint freestyles hard, playing to the program’s strengths. Boyd is a 21.5/45.4/1:36.1 in the 50/100/200 freestyles. Osada goes 45.8 and 1:38.6 in the 100 and 200 freestyles, though he’s got a lot of versatility on top of it. He’s been 1:48.5 in the 200 IM, and might be a Harvard chance, along with sophomore Jack Manchester, to break up Princeton dominance in the 200 IM (more on that later). The exception to the sprint-recruit trend is Haeffner, who has been 4:25 in the 500 free, 9:20 in the 1000 free, and 15:24 in the 1650 free. The Ivy League is unique among Division I conferences in that they award points in all three of those distance events at the conference level, so swimmers like Haeffner take on an extra value in the league. This is a small class, but is capped off with the top sprinter to come out of the American high school ranks ever, Caeleb Dressel. Dressel in a class by himself is in the top 12. The only returning NCAA swimmer who was faster than Dressel’s best in the 50 free at nationals is Kristian Gkolomeev, which means Florida shouldn’t miss a beat from the graduation of Brad deBorde (though he’s not the only swimmer they lose). Lawless, a late signee, is heading in the right direction in a hurry. He dropped 11 seconds in his 500 free as a junior to get to 4:30, and dropped another 6 as a senior to end up at a 4:24. He’s also been 15:20.74 in the 1650 free, though our instinct is that he’s capable of a big drop as a freshman at Florida as well. Snatching a National Letter of Intent from Mark Szaranek after he’d verbally committed to Michigan is what helps put this Florida class into the top 12. Szaranek will represent his native Scotland at this summer’s Commonwealth Games, and while his long course times are solid, he’s an outstanding short course swimmer to this point of his career. Farese is a 49.2 backstroker, and Brady is a 1:39 200 freestyler/1:51 200 IM’er. Molacek is the super-star of this Auburn signing class. He’s the National High School Record holder in the 100 yard breaststroke (52.92) and is one of these swimmers who can help in every race, wherever Auburn needs him. He goes 19.8 in his 50 yard free on a flat start, 48.2 in the 100 back, 1:59.4 in the 200 breast, 48.1 in the 100 fly, and 1:45.5 in the 200 IM. He will be on four Auburn relays at NCAA’s as a freshman, and alongside sophomore-to-be Kyle Darmody will be the nucleus of an Auburn rebuilding effort after massive graduations. He’s coupled with a lot of really nice complementary pieces in this Auburn group. Tjon-a-Joe, from Suriname, was an impressive recruiting effort on the fact that he signed with Auburn over Florida, where the most famous Suriname swimmer of all time Anthony Nesty is an assistant. 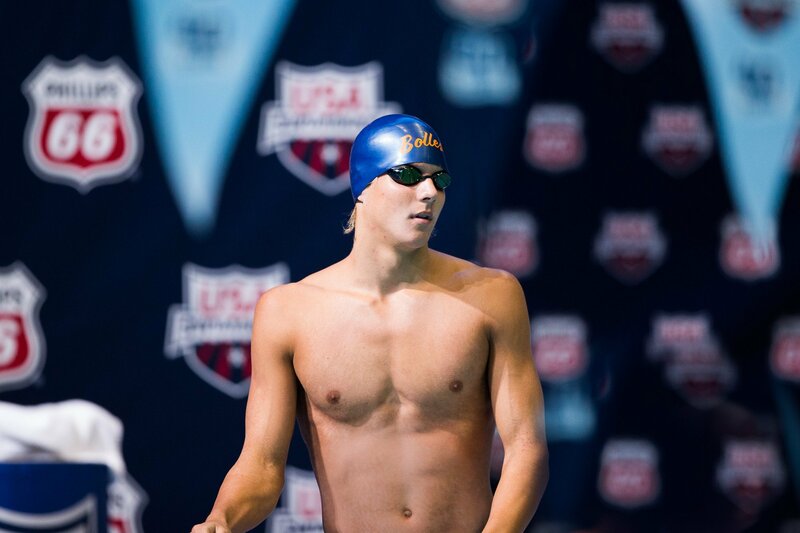 Tjon-a-Joe was a finalist at the 2013 World Junior Championships in the 50 free (22.75 in long course meters). The real hidden gem in this class, though, going to a program known for turning hidden-gem sprinters into superstars, is William McKinney from Bolles: a spring signee. He’s a tall swimmer – at least as tall as his more-famous club teammate Caeleb Dressel, and while already a strong swimmer, is currently framed out more like a football player than a swimmer. Despite, he”s already been 20.8 and 46.3 in the 50 and 100 yard freestyles, and a 20.0 on a free relay at Winter Juniors in 2013. I’d wager a projection that McKinney is going to be going 19-lows on relays by the end of his sophomore year and become another significant Bolles swimmer contributing to the Auburn cause. Head coach Brett Hawke will get some medley relay options too with Zack Warner, a YMCA National Champion, bringing in a 54.43 in the 100 yard breaststroke; and Josh Booth looking like he could develop to fill in any of the other three legs (he’s been a 44.9 in the 100 yard free, done in 2012). This is kind of a subtle Auburn class, but with good depth and good versatility, it’s a top-10 class for sure. After a breakout season, where the Wolfpack almost pulled off the ACC title despite getting crushed by Virginia Tech in diving, NC State probably won’t see the really big recruiting bump until this fall. Still, this class is another very good one that builds upon what the Wolfpack has shown themselves to be fantastic at, and also adds to their biggest weakness, by far. The three sprint freestylers in the class are Colin Ellington from in-state YOTA; his club teammate Noah Franz, and Ryan Held from the Springfield YMCA in Illinois. Their 50 free times, respectively, are 20.1/21.3/19.5, and their 100 free times are 44.4/46.1/43.3. When added to a sprint group that graduates only two of its six sub-20 second 50 freestylers (and could realistically have ten of them next season), the Wolfpack’s options in their hallmark sprint relays get even better. Stuart, a Colorado State Champion in the 200 free, 200 IM, and 100 back at different points in his career, could also join the sprint relays. His best events, though, are a 46.9 in the 100 back, a 1:42.7 in the 200 back, and a 1:47.7 in the 200 IM. The Wolfpack’s medley relays are stout on the backstroke, but Stuart will likely be an ACC A-finalist in both the 100 and 200 backstrokes as a freshman as the Wolfpack continue to pile on individual scorers to their lethal relays. But here’s why the Wolfpack will be our preseason pick to win the ACC title: the divers they signed. Last year, they were 10th out of 11 teams (BC didn’t score) after the diving portion of the ACC Championships, which was completed before swimming began. The two freshmen recruits they’re bringing in for diving won’t be obvious immediate NCAA scorers, but they will have a big immediate impact at ACC’s. Mitchell was a finalist at the 2013 USA Diving Age Group National Championships on the 3-meter, and Somhegyi represented his native country at the 2013 European Junior Diving Championships. The biggest knock here is that, outside of the divers, the sprinters wasn’t a huge need for NC State. So where is UNLV? From what I have seen on swimswam and collegeswimming they are brining in a class superior to a couple on this list. Mid Major – I’d love to be proven wrong, but I can’t find a release of their full class and the top signees I can find are a Brazilian named Ciao Dini (22.5 in short course meters 50 free) and Yannick Lindenberg (1:01 long course breaststroker). That’s two good signings…but doesn’t compute to be a better class than those ranked here in my mind on the strength of those two alone. Are there others that we’re missing? The Brazilian came in at semester and placed 6th in one event at conference. In a weak conference at that. Would say it’s a mediocre class at best. All foreign as well.